The most important part of an animation is the story itself. So it is very important that the script is written to serve the purposes of the animation, it shouldn’t be written in the same way you would write a narrative for long form reading. The story must be read aloud in less than 2 minutes, as analysts say, if it is longer than 1min30sec, users stop watching and go look for new content on other websites. This is super important not only to save production time, but also to avoid uploading content that won’t be seen. One must understand that animation, films, documentaries and short films are different products and serve different purposes. In this tutorial, we’ll learn how to create an animation, it must be a short story that will serve as a teaser to invite the user to get to know the story we want to tell. After this introduction to the subject, articles released with the teaser can be read to learn more. Animation is a very effective way to introduce a topic, it’s easy to share and it can attract more users to our website. Costa Rica’s ban on clearing of “mature” forests appears to be effective in encouraging agricultural expansion on non-forest lands, finds a study published today in the journal Environmental Research Letters. The research, which was led by Matthew Fagan of Columbia University, is based on analysis of satellite data calibrated with visits to field sites in the lowlands of northern Costa Rica. The study found that since Costa Rica implemented its ban on conversion of mature forests in 1996, the annual rate of old-growth forest loss dropped 40 percent despite an agricultural boom in the region. The results suggest that Costa Rica is intensifying agricultural production while simultaneously sparing forests. However the researchers suggest that intensification may not be an ecological panacea. They note that intensive agriculture has expanded into important non-protected forests, including wetlands and secondary forests. Additionally, industrial monocultures offer less habitat connectivity than less intensively managed landscapes — a typical cattle pasture includes scattered tree cover which is utilized by many species, whereas a pineapple farm is usually devoid of trees and functions as a biological desert. Finally the use of agricultural chemicals is a risk to animals and aquatic habitats. Nonetheless, from a land use policy perspective, the researchers conclude that Costa Rica’s approach may hold lessons for other areas where forests are being rapidly converted for agriculture. “Comprehensive forest protection policies may be a potential tool to promote land-sparing in regions undergoing deforestation for intensive agriculture,” they write. Narration is a very important part of the animation, as it allows the user to follow the story not only visually, but also through the story, allowing input of information through many different channels. An audio recording is a task that should be taken seriously, as a bad narration can kill our animation, making it monotonic. Making the voiceover narration is like being an actor, we have to put emotion in the story and, like a theater actor, emphasize the right parts of the narrative, raising one’s voice, reading faster or slower and with the correct volume to keep the listener interested in the story. There are several ways to record audio, including a recording studio. As this tutorial is dedicated to people who want to do everything themselves from the beginning, and not to be dependent on recording studios, there is affordable and even free software that provides great recording quality. 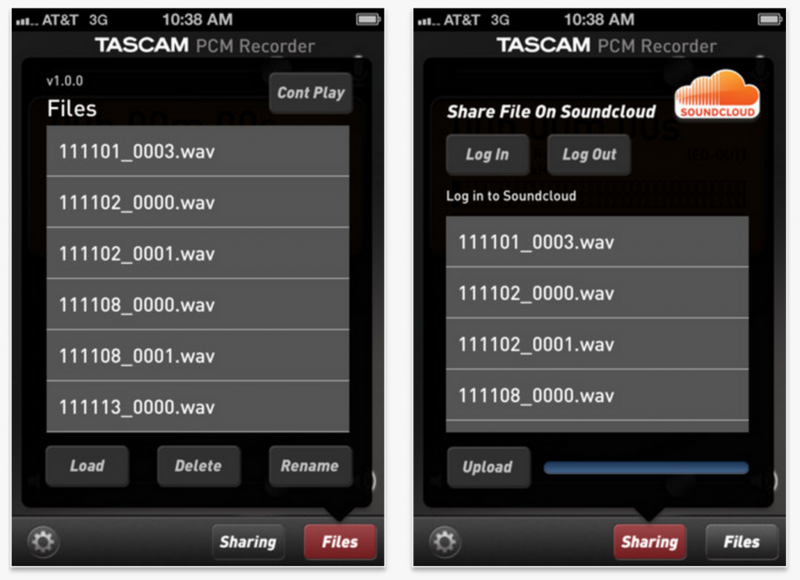 My favorite is PCM Recorder that can be downloaded free. It records using your phone. You then have to upload your audio file to soundcloud, so you can produce several audio versions to have online. It is also very effective to share with friends. Start preparing to capture sound by clicking on the red button with a circle inside. At that moment the phone is ready to capture sound. To record click the green play button and start talking. When finished, click the button with the square. 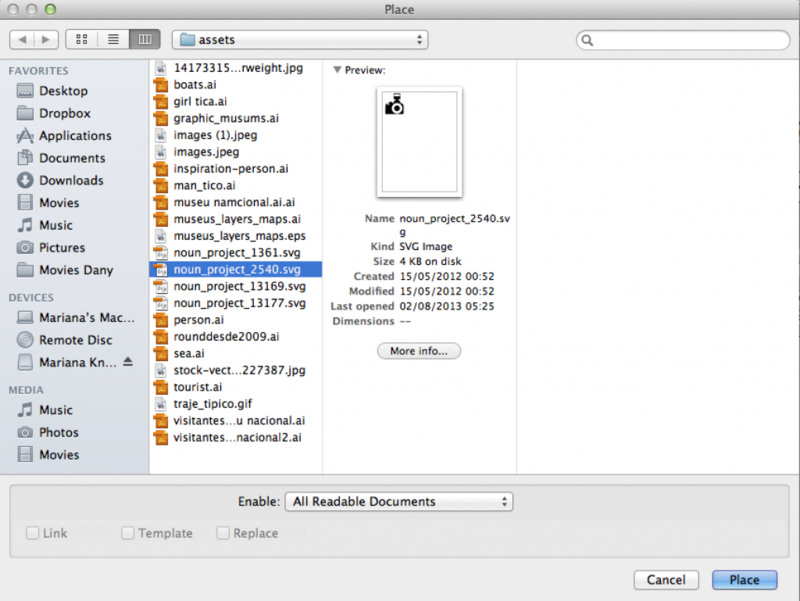 Once the file is recorded it is accessed by selecting Files, where you can find all the files you have recorded. The files will be named with the date they were recorded with the addition of _001, _002 etc chronologically. 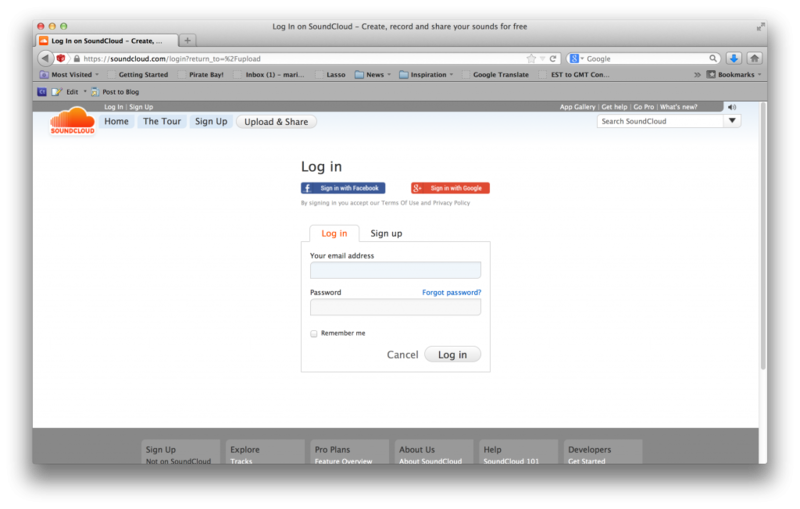 To upload a file to Soundcloud, you must first have an active account, which you can create at Soundcloud SignIn. Log in, click the button above the files, select the audio you want to upload and click Upload. Please wait a few minutes and it’s ready. From your SoundCloud page you can download to your computer the file you want. This process is especially useful when you record interviews or audio on the road and want to send them to someone. Using this method is fast, effective and safe. Be careful to record your story in a quiet place. Don’t forget to tell the story like a theater actor, in a serious but interesting way. 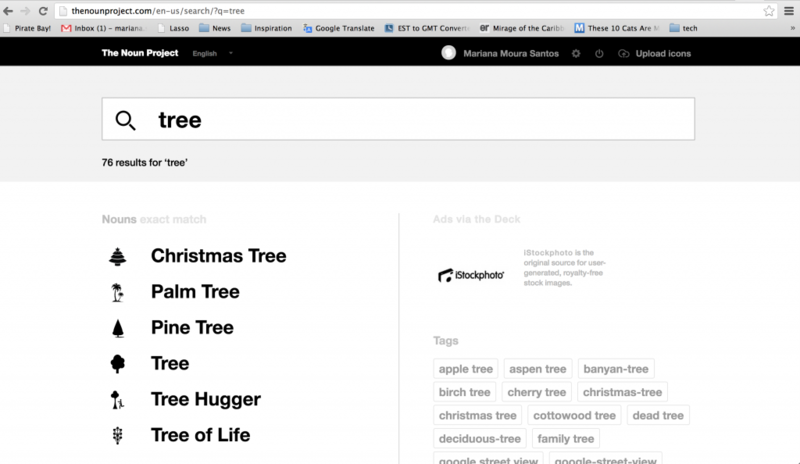 Narrations in a single tone become boring and contribute to making users uninterested. Put feeling into your narration. Using background music can be very effective as well. Be careful not to use a song with voice or one that is too loud, as this will make communication hard. There are free music websites, and some that cost money. To illustrate your story, you can use photographs, drawings, illustrations, clips, and any and all visual elements you want. Typically, iconographic representations are very effective when you are working with data and want to tell a story in a rational way with minimalist aesthetic. I recommend “The Noun Project” which is a website with icons for almost everything, it’s free and the only thing you have to do at the end of the project is mention that one of the sources in the work was The Noun Project. It’s possible to type in the search bar what kind of icons we need, then download them and use them in our history. To make root illustrations, the best program is Adobe Illustrator, since the graphics are exported as vectors, which allows us to make them bigger without sacrificing quality. If we have a lot of data to display and want to make bar graphs, pie graphs or any other type of diagrams, the best is to use Adobe Illustrator. The first thing we must do to view the story is to make the storyboard. Meaning that we must go paragraph by paragraph and draw how we want to represent each part of the story. This process must be done by hand, because by hand is the fastest way between the brain and expression. Don’t worry if you think you have no talent for drawing, as there is no problem here. What matters is to represent how you want the story to be viewed. The final illustration will be done later through photographs, vectors or icons. 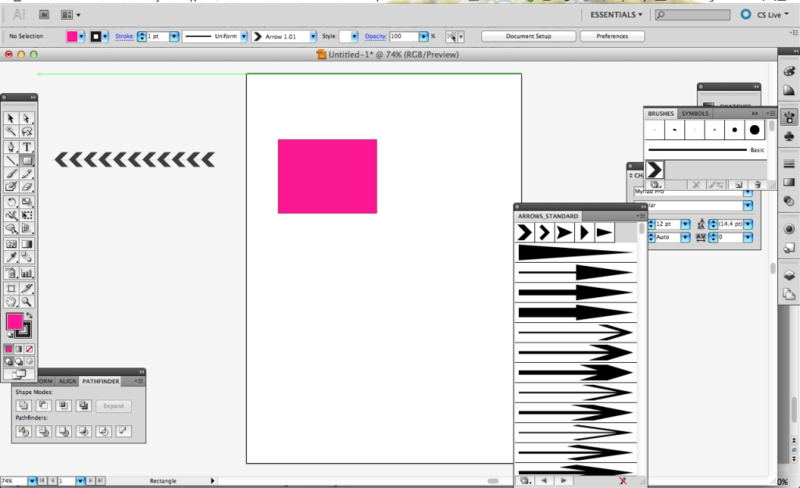 This software is great for creating vector images. You can also edit some icons (that you downloaded from The Noun Project) and match different items to make it have your own meaning. You can start with the format you want, because this file will be exported as an .ai (Adobe Illustrator file), meaning that it will have all the features of a file in Illustrator. It means that if you decide to change a certain element afterwards you can do it. The update will be done with After Effects. To make shapes, simply select the shape you want, you can make squares, circles, stars etc. These options are behind the square, so click and hold it and all the options will show up. > File > Place and choose the icon you want to import. 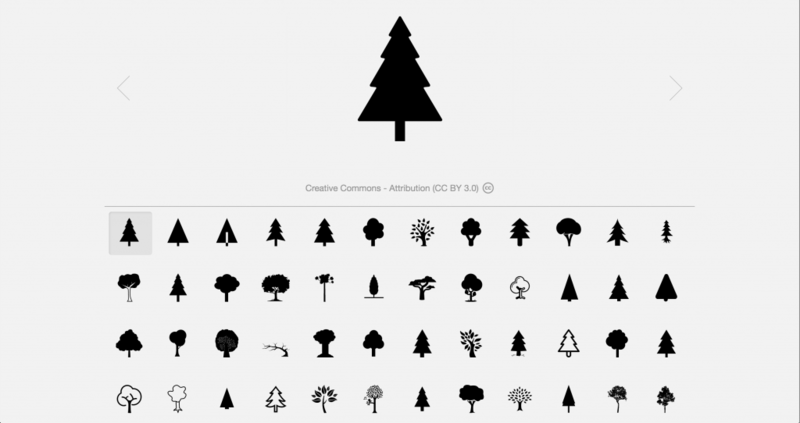 If you have downloaded some icons from The Noun Project, they are saved as svg (Scalable Vector Graphics) in illustrator. Afterwards, you can convert them to the format you want, as .ai, for example. To edit icons inside Ai, use the white arrow called ‘Direct Selection Tool’ (by clicking “A” this option is automatically selected). You can select the small points that make the icon and modify it as you want. To save your image >File > Save and save it with the name you choose. This software is awesome! It’s powerful, not difficult to learn, anyone can learn it, it’s just a matter of dedication and time. Knight International Journalism Fellow Mariana Santos is a visual storyteller, who did groundbreaking work as a member of the interactive team at The Guardian in London. A trained animator, she pioneered the newsroom’s use of motion graphics to make data stories more compelling. She taught a course in interactive journalism at the Knight Center for Journalism in the Americas and has held workshops in Argentina, Denmark and the United Kingdom. She began her career as a motion animator and post-production editor at Universal Music Berlin. Santos has a bachelor’s degree in communication design and industrial design from the Faculty of Fine Arts at the University of Lisbon. She completed a master’s degree in digital media at Hyper Island, an educational company in Stockholm. To do this animation you will need an internet connection, a computer with an Adobe Illustrator program for vector illustrations, an Adobe After Effects program to build and animate the graphics. 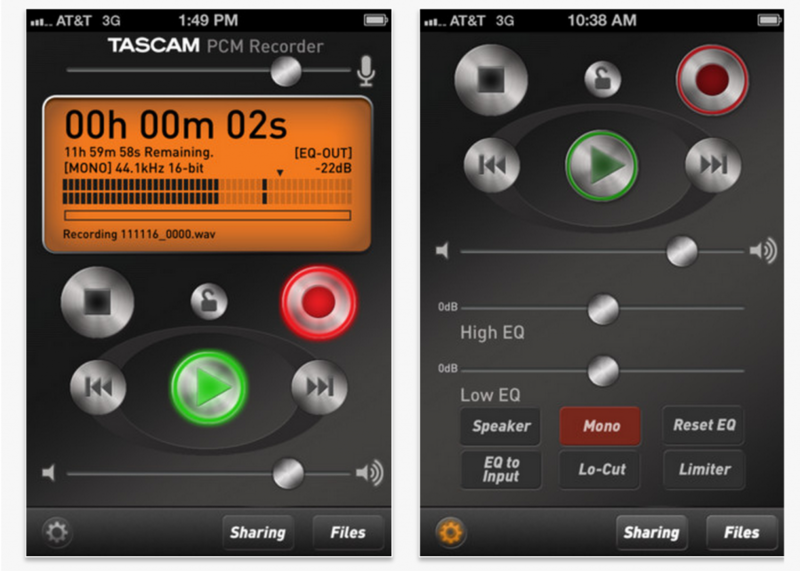 To record audio using your cell phone, you need the free program PCM Recorder available for iPhone and Android, and you don’t need an extra microphone, as the phone’s micro’s quality is good enough.